Like the sound of a bat hitting a ball, these longtime broadcasters share a voice with a ring so familiar to a generation of New York fans. 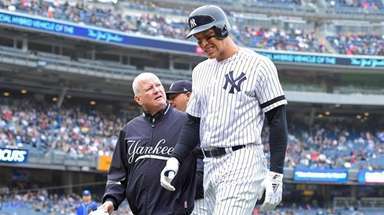 Aaron Judge and Giancarlo Stanton were not yet born. Aaron Boone was 16. The Yankees’ leading batter was Steve Sax. Jacob deGrom was an infant. Mickey Callaway was 13. Howard Johnson led the Mets in batting average, home runs, RBIs and fielding errors. It was 1989. Tim Berners-Lee invented the World Wide Web that year. The Berlin Wall fell. “The Simpsons” premiered. 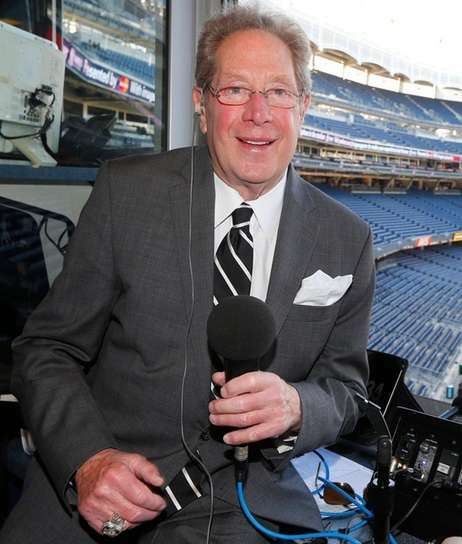 And that season, the Yankees welcomed a new radio play-by-play voice: John Sterling. The Mets did the same in Gary Cohen. Thirty years later, both remain on the job, with Cohen having moved to TV in 2006. That makes Sterling a newcomer on the Yankees beat. Suzyn Waldman already had been covering them for two years by 1989, as a reporter for WFAN. She went to the YES Network as a reporter in 2002, then to the radio booth alongside Sterling in 2005. 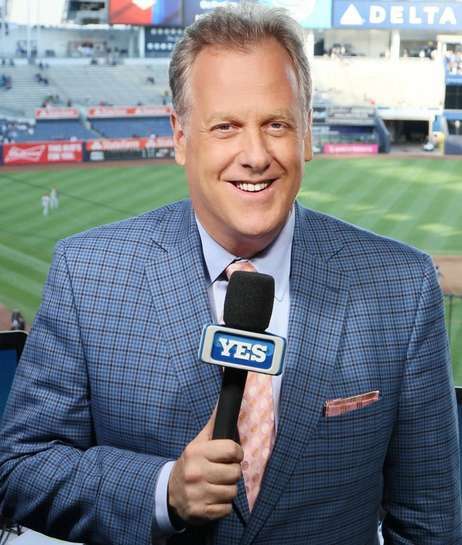 Michael Kay began covering the team for the New York Post and later the Daily News in 1987, moved to radio alongside Sterling in 1992, then to YES as the TV play-by-play man in 2002. 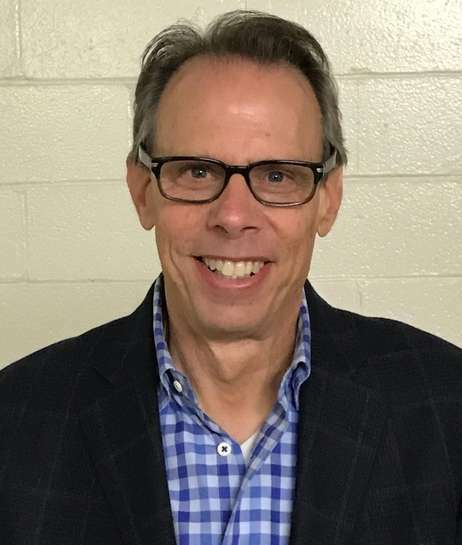 Howie Rose called Mets games on TV from 1996 to 2003 and has been doing so on radio since 2004. 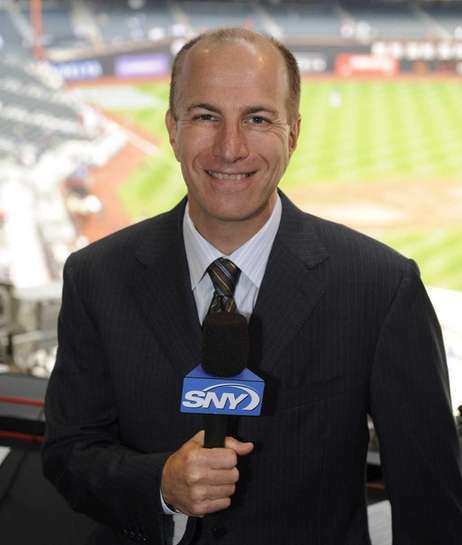 Before that, he hosted Mets coverage on WFAN dating to the late ‘80s. The moral of our story thus far: New York baseball currently has an unusually large number of voices who have been at it for an unusually long time. This is not unique to baseball, of course. There are play-by-play men with lengthy terms all over the New York area, beginning with the current dean, the Rangers’ Sam Rosen. But there is something about baseball that makes its longtime voices resonate more than in other sports. 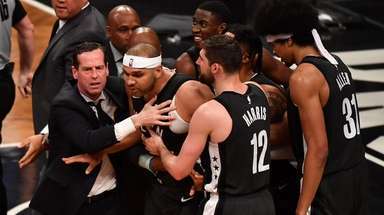 Cohen said that in a sport where players, managers and even sometimes owners come and go, “broadcasters often can be the bridge across the upheaval of the franchise that fans maintain their loyalty to. Said Waldman, “People, particularly in this world, they want continuity and want something they recognize. They don’t want change. Baseball to me is the one constant. It just keeps going. They can try to change the rules and they can try and put in a pitch clock, but basically it’s the same game. 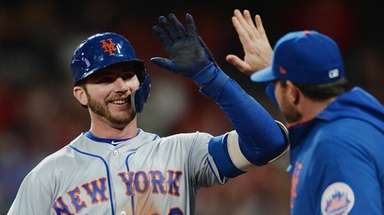 Each generation has its iconic voices, from Mel Allen, Red Barber and Vin Scully to Phil Rizzuto, Bill White and Frank Messer to the Mets’ original trio of Ralph Kiner, Lindsey Nelson and Bob Murphy and later Tim McCarver. Now here we are. Fans who are 15 or 25 or 35 today will wax nostalgic years from now about the summer sounds of their youths, and the careers of Sterling, Waldman, Kay, Cohen and Rose will live on through them. They appreciate that, because they once were young fans, too. For Cohen, 60, and Rose, 65, being a young Mets fan meant listening to Kiner, Nelson and Murphy. Fun fact: Called Columbia soccer with analyst George Stephanopoulos. 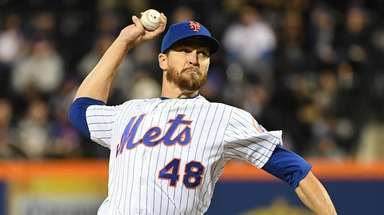 “When I turned on my radio as a 6-year-old, as a 12-year-old, as a 15-year-old, I always knew I was going to hear one of those three voices, and that to me provided a great comfort level in terms of knowing: This is what the Mets sound like,” Cohen said. Unlike the others, Waldman, 72, did not grow up in the New York area, and still has the Boston accent to prove it after a half-century here. So Red Sox voices such as Curt Gowdy, Ken Coleman and Ned Martin were her introduction, as was the ancient rivalry with the Yankees. No baseball voice in New York is as polarizing as Sterling, 80, who frustrates some fans and critics with his at times less-than-precise descriptions — although cataract surgery last year helped — and delights others with his quirks, passion and home run calls. But he said that in person, fans express nothing but appreciation. “There isn’t a day goes by that I’m not approached by fans, and they’re all wonderful to me; they treat me with such respect and such kindnesses,” he said. “I’m sure if it happens to me, it happens to Michael and Suzyn and Gary and Howie. Sterling has not missed a game since late in the 1989 season, but the streak could end this June because of the high school graduation of his triplets. Waldman rejected the notion that perhaps Sterling simply has worn down his critics over the decades. One advantage Yankees announcers have over their Queens counterparts is that there is no such thing as meaningless late-summer games for them. Kay’s first season as a broadcaster was 1992. That was the last year the Yankees finished under .500. Along the way he called many memorable Derek Jeter moments on radio and television. “Derek Jeter is one of the most iconic players of all time,” he said. “If there’s baseball a thousand years from now on ‘ESPN 1,000’ and they show a Jeter retrospective, they’ll have me screaming, ‘History, with an exclamation point!’ (after his 3,000th hit, a home run). Perhaps, but younger fans might not be so sure. 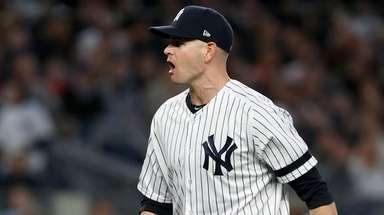 “There are people who know nothing on the Yankees side except Michael, John and me,” Waldman said. Waldman has proven that being a native is not a requirement for the job, but it doesn’t hurt. 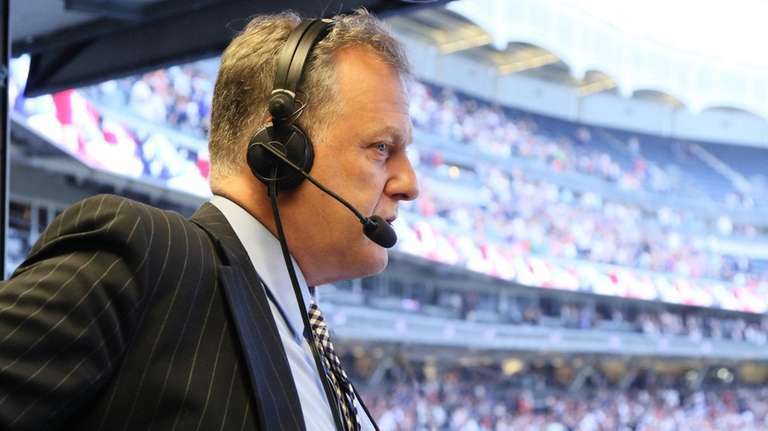 There is no immediate end in sight for New York baseball’s longtime voices. Sterling has said his goal is to die in the booth. None of this is good news for young announcers looking to enter the club. Wayne Randazzo, 34, will join Rose this season, but such chances are few and far between. “I daydream a lot about living forever,” Kay said. “So if you live forever and you can be relatively healthy, would you be the ‘Voice of the Yankees’ for 150 years, where you just happened to luck out at the right time to get the job and then hold it for 150 years? I wonder if that’s in the cards. Singleton reduces role in return as Yanks analyst"It seems as though there are quite a few fans who didn't want me to stop," Singleton said.